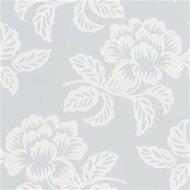 Luxe vinyl muurbekleding op vlies in bloemmotief. 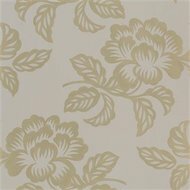 An elegant graphic floral wallpaper design available In a palette of soft neutral tones and sometimes with a touch of metallic. 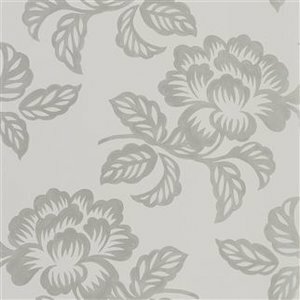 This medium scale wallpaper design is printed onto a smooth non-woven ground for ease of hanging and can be used in both traditional and contemporary interior settings. Available in seven colourways.